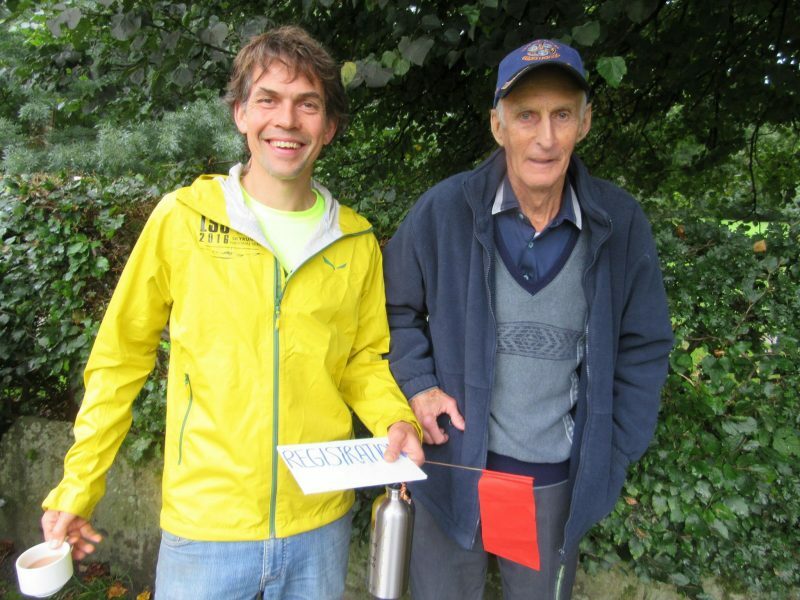 The inaugural Wansfell 10km Trail Race was started by Joss Naylor, one of the best 'Fell Runners' of all time. With a strong field of club runners, we knew there would be a fast time and Results Base, our timing company, scooped the wins! The course was marked by Charlie, the RD, on Saturday night and the runners assembled on the start line just over 12 hours later for the inaugural edition of this classic route around both summits of Wansfell, which over looks Ambleside and is a Wainwright for those who are up for some 'baggin'. The Legendary fell runners, Joss Naylor, was commissioned to start the race by our good friend Eileen Jones and the stage was set for a tough trail race with a double loop of the Wansfell Pike Summit. The actual distance is 10.65km and with 600m+ of ascent in this little course, its certainly not a walk in the park! 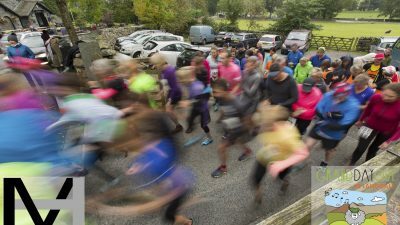 Its classic fell running, but with a fully marked course meaning no navigational experience is required, Mountain Run decided it was to be named as a trail race over fell terrain. With plenty of rain overnight and already wet ground the time was bound to be slightly slower than if the conditions were dry underfoot, but Mark Likeman (Results Base Timing) ran with David Beech, Tom Collins and Paul Knowles for the summit of Wansfell Pike the first time round, although on talking with Mark afterwards he said "I purposefully took it steady on the first ascent, holding back to save my legs for the second ascent of the summit" and this tactic paid off with only Tom Collins reaching the summit before him on the double loop. 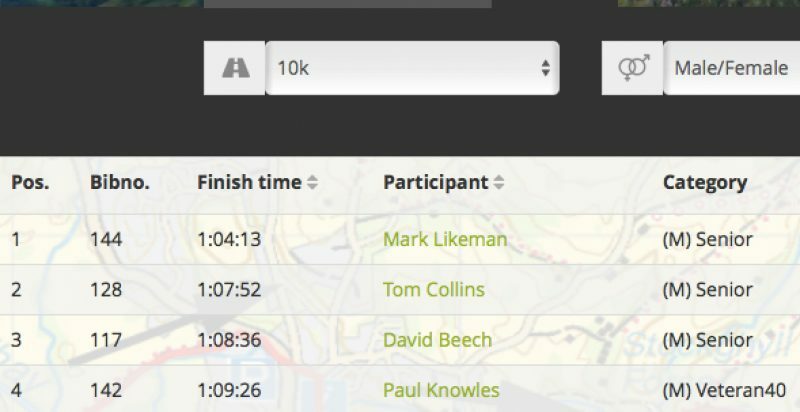 Mark then descended well to gain almost 5 minutes on Tom who was now in 2nd place and held his lead to finish in a fast time of 1:04:13. Mark Likeman was quoted saying; "The course was excellent, even the bog I fell into and I'm pretty sure there was a dead sheep in there too!! I loved the descent and the woodland running in the final descent before hitting the streets of Ambleside"
Sophie Noon dominated the women's race reaching the summit a minute before Rachel Avison who was in 2nd place and then extending her lead on each checkpoint there after and finishing almost 10 minutes up on her. 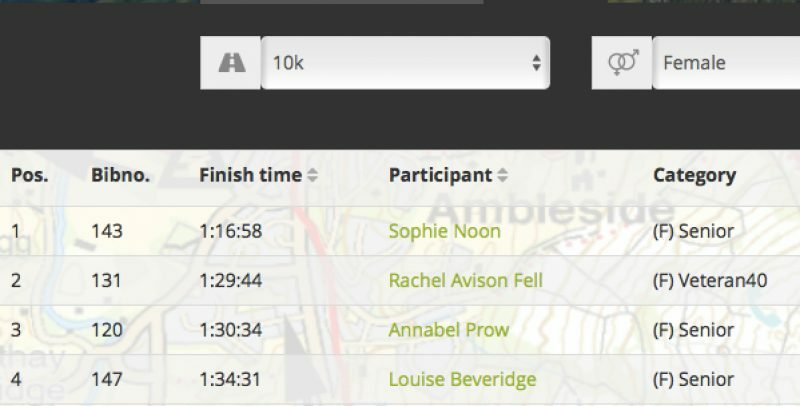 Annabel Prow came in a close 3rd, with less than a minute between her and Rachel. 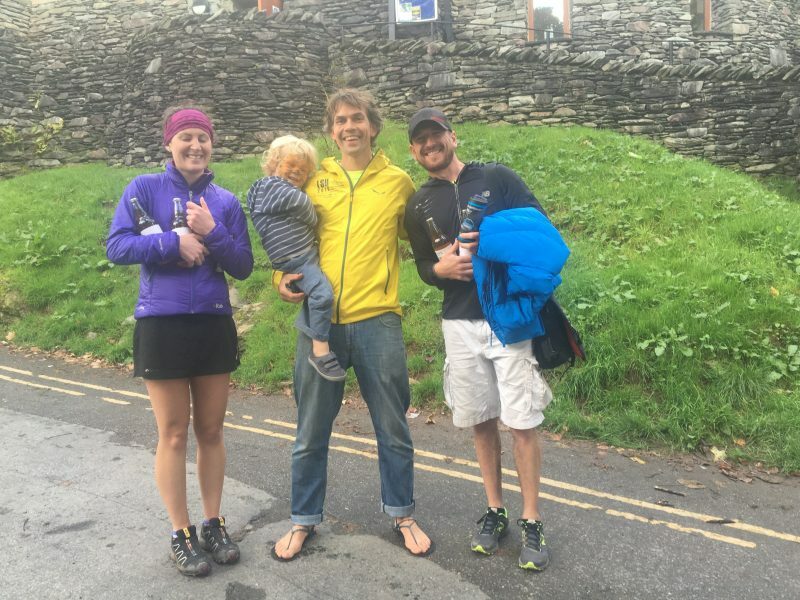 Sophie was quoted saying; "I thoroughly enjoyed racing the wansfell 10k trail race. The route was a lot tougher than I expected with a brutal ascent onto Wansfell. Beautiful views at the top made it somewhat more rewarding, even if I couldn't stop to appreciate them! There was some tricky fast descending in the latter part of the race. 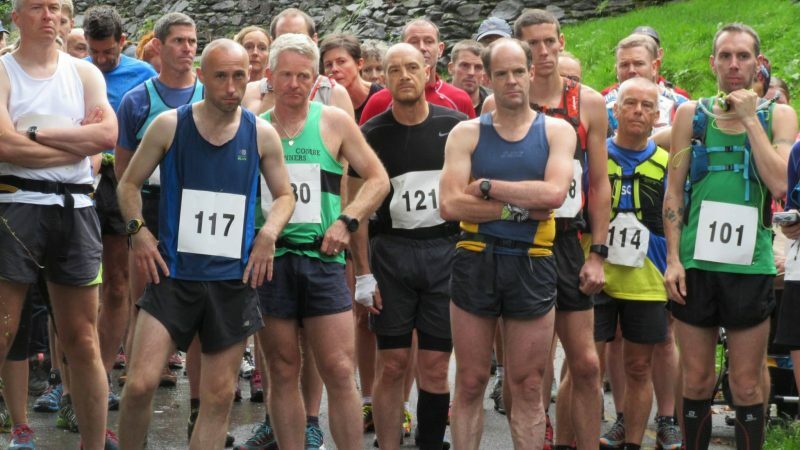 It was a very well organised event with a friendly relaxed atmosphere, and having fell running legend Joss Naylor at the start line was very inspiring. 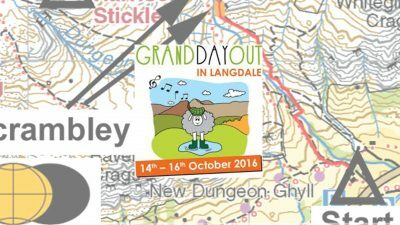 I will be recommending this race to fellow fell/trail runners and will definitely return next year!" On the Nordic Walking front, we had 6 entries and only 2 of them arrived, but the ladies from Cheshire had a great time and finished in a respectable time of 3:36:40, which was inside the course closure time and fantastic considering for one of them, it was her very first 'fell walk'. We will be adding a less aggressive course for 2017 which will suit Nordic Walking all the better. Look out for entries later in the year for the 2017 edition of this tough, but rewarding fully marked trail race!